Utopian series planted dreams in young minds that commercial space titans pursue today. 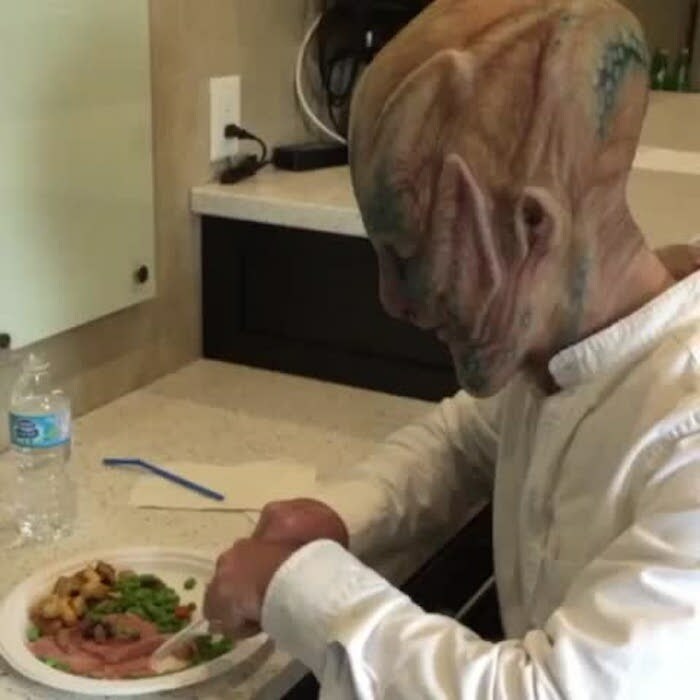 Enlarge / Jeff Bezos (right) in his cameo as an alien in Star Trek: Beyond. At Blue Origin’s headquarters near Seattle, one of the highlights of any tour is Jeff Bezos’ dazzling collection of space and science fiction memorabilia. The world’s fourth richest man grew up enthralled with space, and his collection includes everything from real-world spacesuits, to a full-size Battlestar Galactica pressure door, to a hidebound photo album kept by a soldier stationed in the 1970s at Baikonur, where the Soviets launched Yuri Gagarin’s rocket into space. Among these displays are several Star Trekcollectibles, including a model Starship Enterprise used in the first three Star Trek movies. A self-admitted Trekkie, Bezos founded Blue Origin 16 years ago this month, and the company stands at the vanguard of the new space movement. He, along with Elon Musk, and to a lesser extent others like Microsoft’s Paul Allen, have begun to shake up the stodgy aerospace industry with new companies and new ideas. They have injected personal capital and innovation into spaceflight for a single, overarching reason—they want to see humanity expand into space. And the impetus for this came early in life, largely from Star Trek and its optimistic vision of humanity as a species that had mastered spaceflight and set about exploring the galaxy. 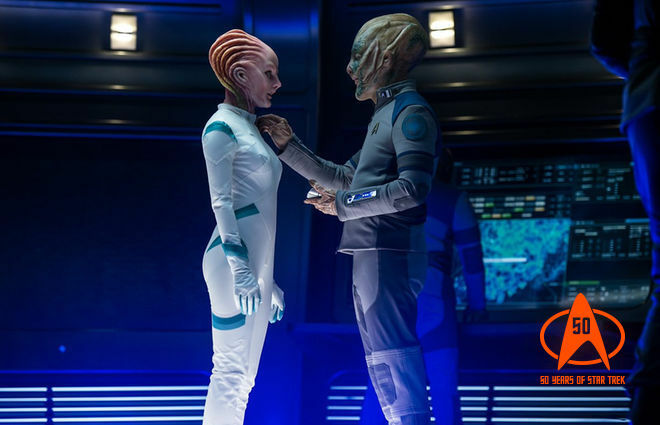 For Trek fans of a certain age, spreading humanity across the cosmos does not seem like an impossible dream. Bezos, 52, and Musk, 45, grew up in the 1970s, an anything-was-possible era. NASA had just sent humans to the Moon, and Voyager probes were flying out into the solar system. The space agency, too, was developing the space shuttle, which promised to send hundreds if not thousands of people to space, as well as plant the seeds for a vibrant, in-space economy. But that’s not what happened. Perhaps, as young adults, when the tech titans set about making their fortunes with Amazon and PayPal, they believed NASA would figure this whole space thing out. Yet as Bezos and Musk prospered, NASA floundered. The space shuttle had two accidents and focused on completing construction of the International Space Station. While the ISS has been continuously inhabited for more than 15 years, both the shuttle and station, with annual budgets in excess of $3 billion, proved to be unsustainable without government backing. Space is no more open to humanity today than it was when Bezos and Musk were children. 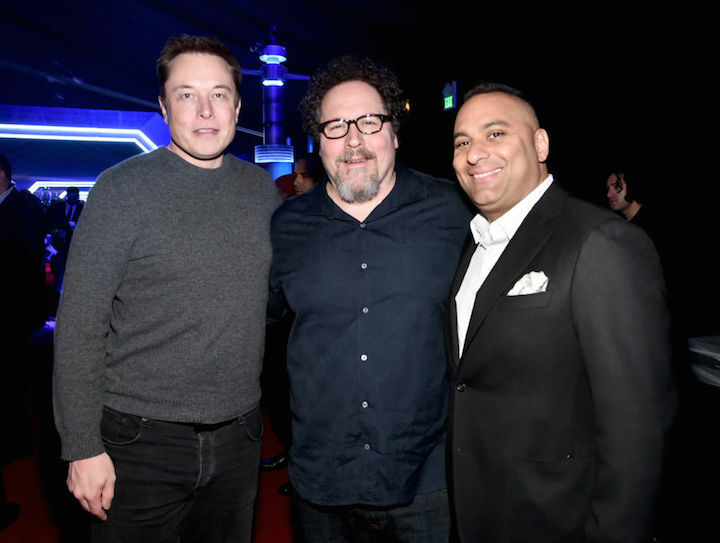 Elon Musk, actor-director Jon Favreau, and comedian Russell Peters attend the after party for the World Premiere of Star Wars: The Force Awakens on Hollywood Blvd. on December 14, 2015. Their dreams did not die, however. Even as Bezos and Musk earned fortunes (and scars) in the dotcom boom of the 1990s, inside them were still little kids who grew up watching Star Trek. For kids who grew up in the 1970s, it just seemed obvious that humanity should build starships, colonize distant worlds, and explore the galaxy. And so when NASA failed to fulfill this dream, these future titans of the commercial space industry began investing their own capital to explore how this might be done. Musk founded SpaceX to colonize Mars. Bezos founded Blue Origin to lower the cost of access to space and make it possible for thousands, if not millions, of people to live and work offworld. Billionaires from Google and Microsoft created Planetary Resources to mine asteroids. Even as Musk took a more public path with SpaceX, Bezos remained quiet about his own spaceflight venture, Blue Origin. The spaceflight company’s first few years consisted mostly of a few engineers exploring ways to get to orbit without using chemical rockets. But when transporters and other technologies proved impractical, Blue Origin set about building the best engines possible. Like SpaceX, Blue Origin focused on developing reusable rockets to lower the cost of access to space. But getting the masses into space (outside of Hollywood) remains a challenge, as last week's accident during preparations for a static fire of a SpaceX test reminds us. The hard engineering work continues, but the quest for a Trek-like future remains as compelling as ever for Musk and Bezos. If this all sounds like some people who want to explore strange new worlds, to seek out new life and new civilizations, to boldly go where no one has gone before—well, that’s probably not an accident.